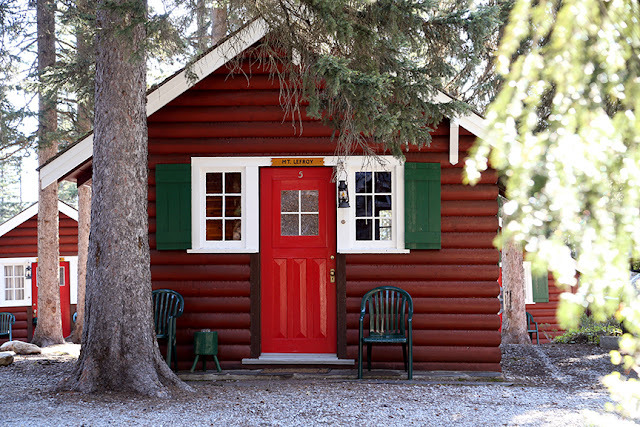 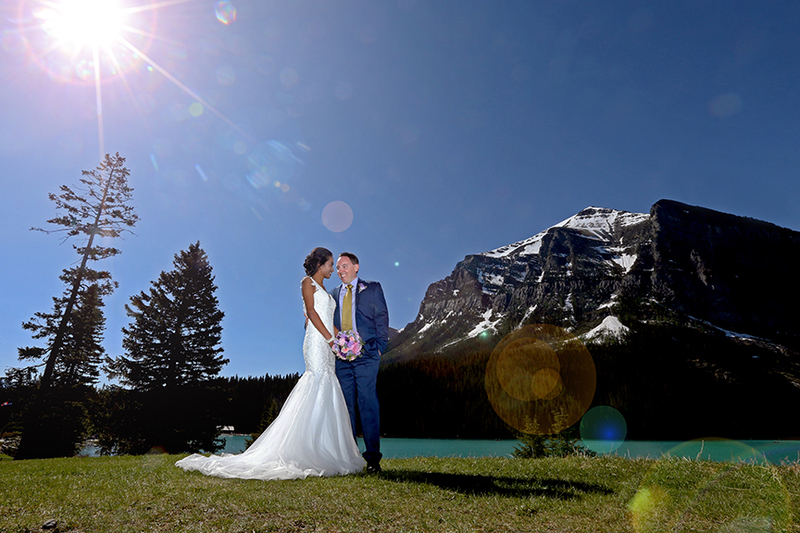 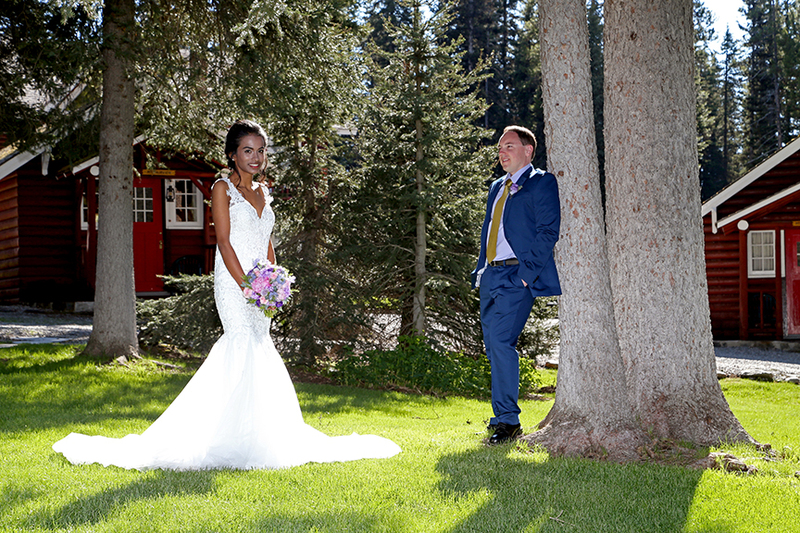 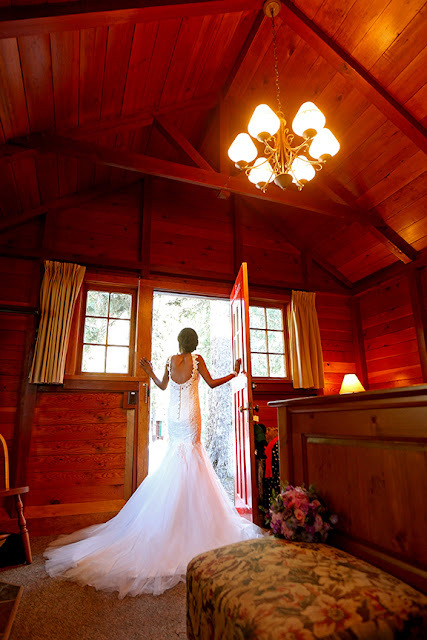 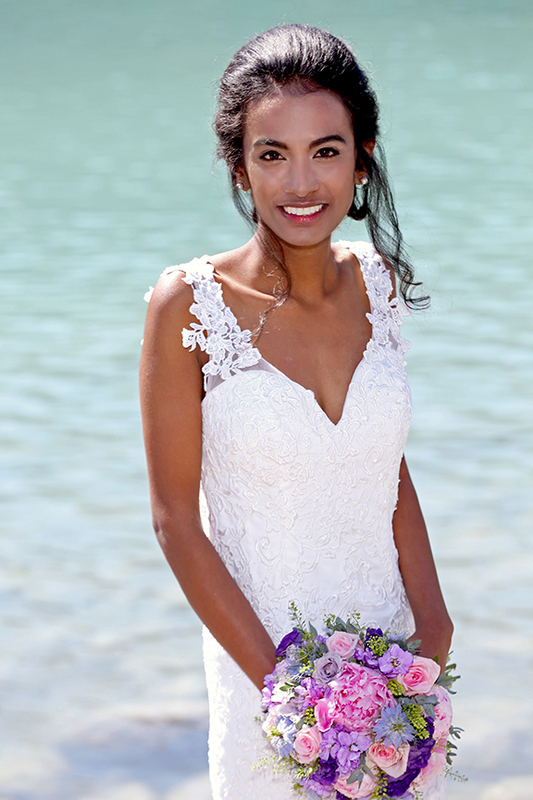 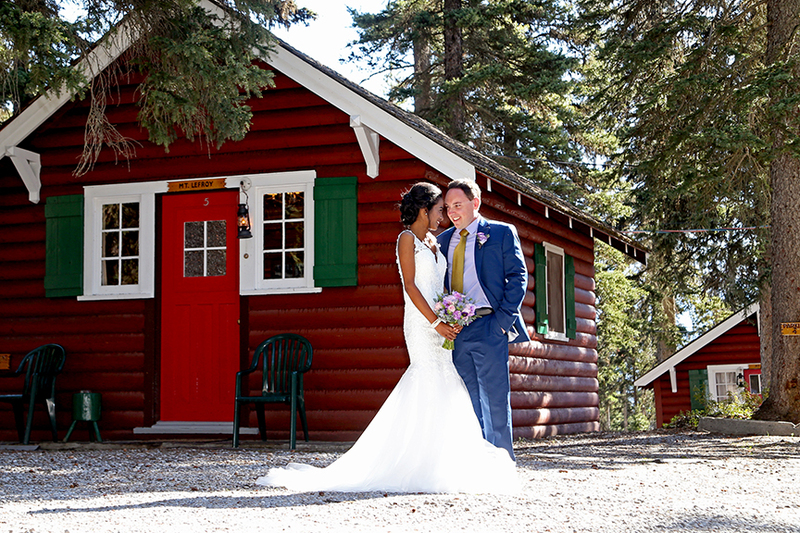 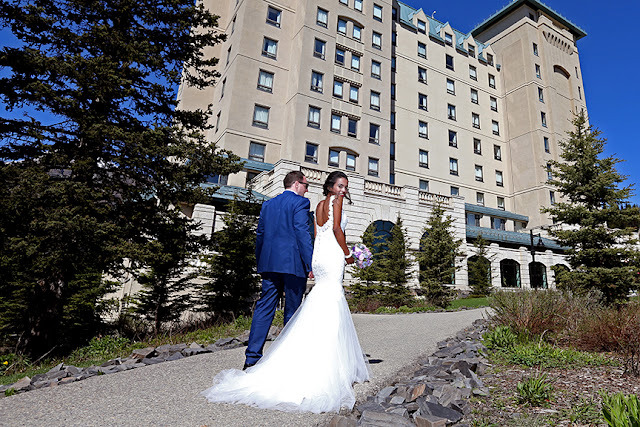 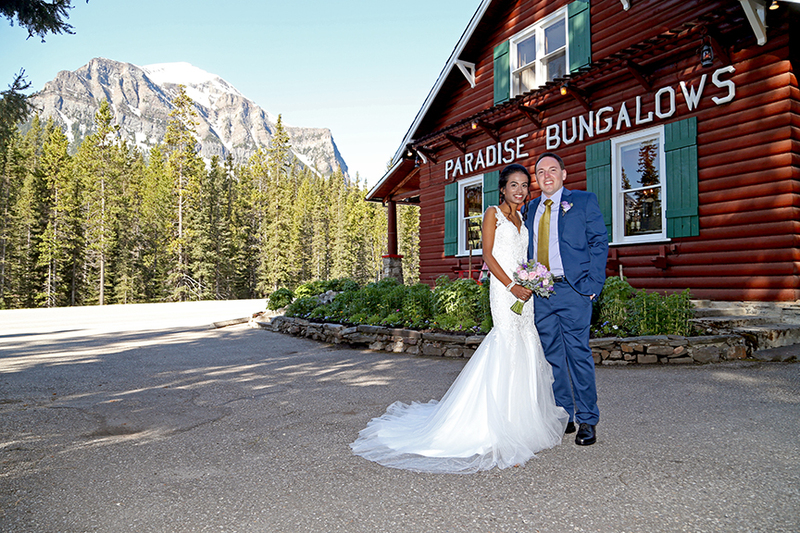 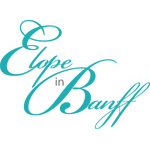 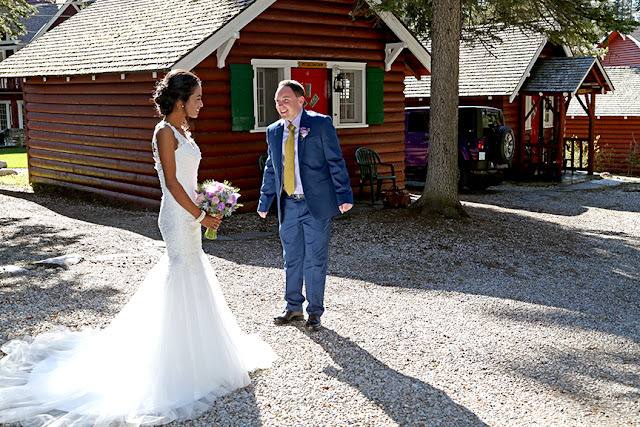 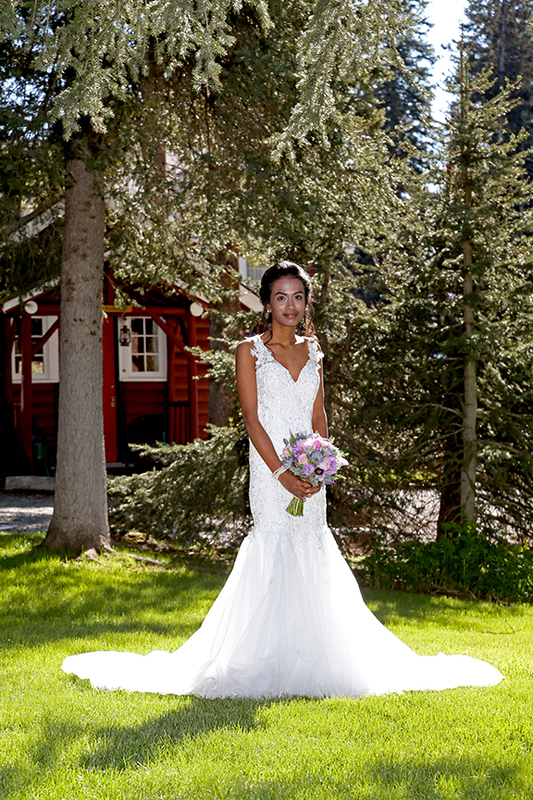 Banff is one of Praveena & Timothy's favourite places to visit for a vacation (they have been here 3 times already) and lucky for us they chose to Elope here! 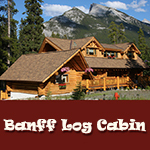 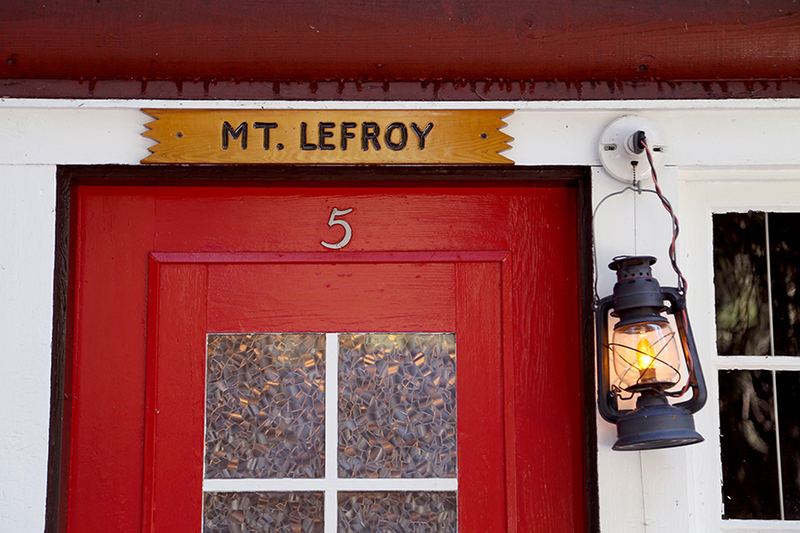 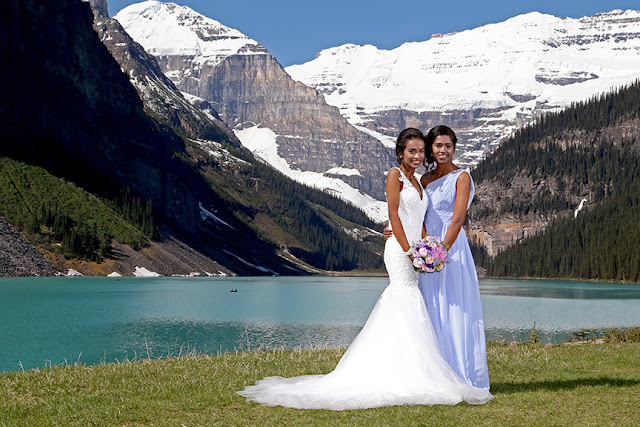 Like us, they love the mountains, the hiking, skiing and the spectacular scenery. 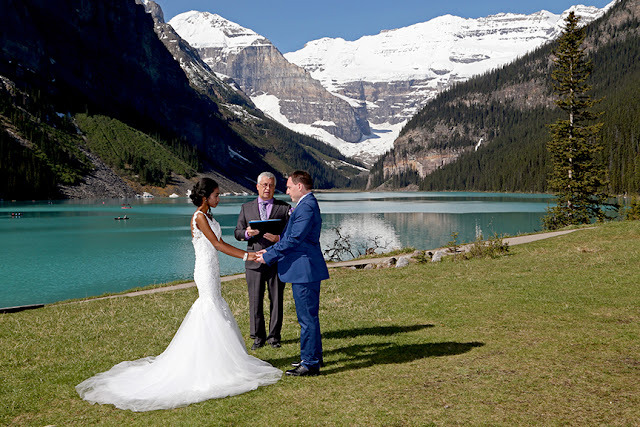 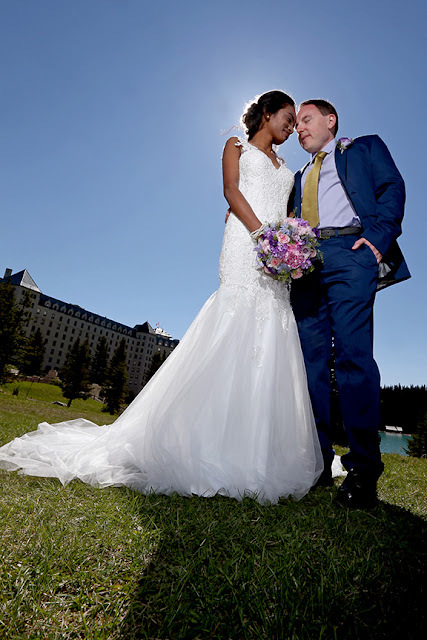 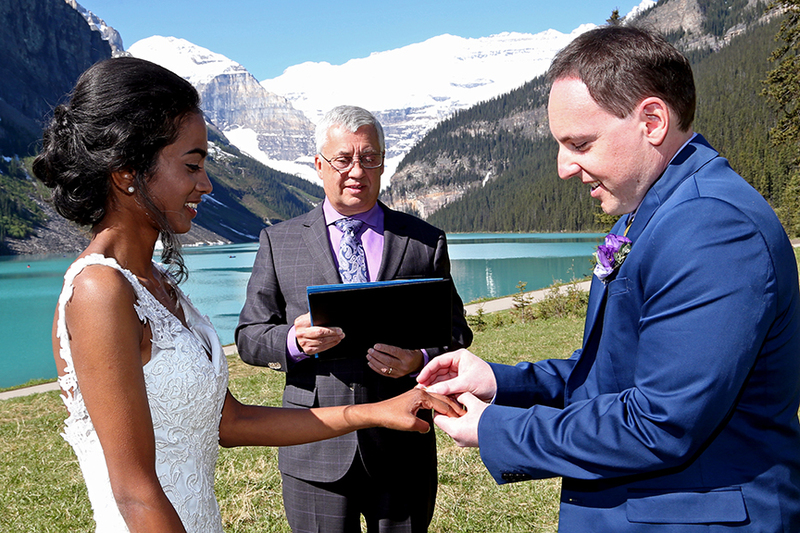 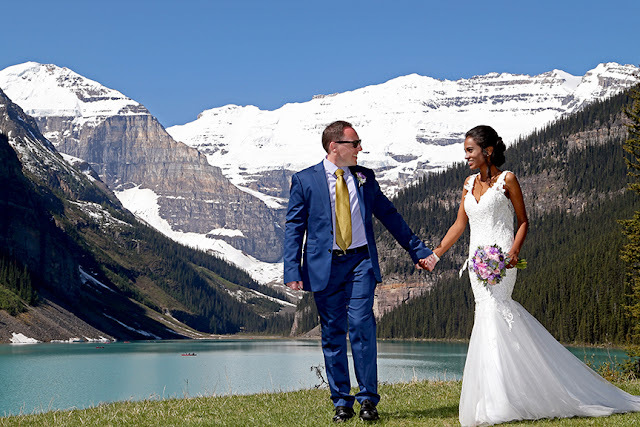 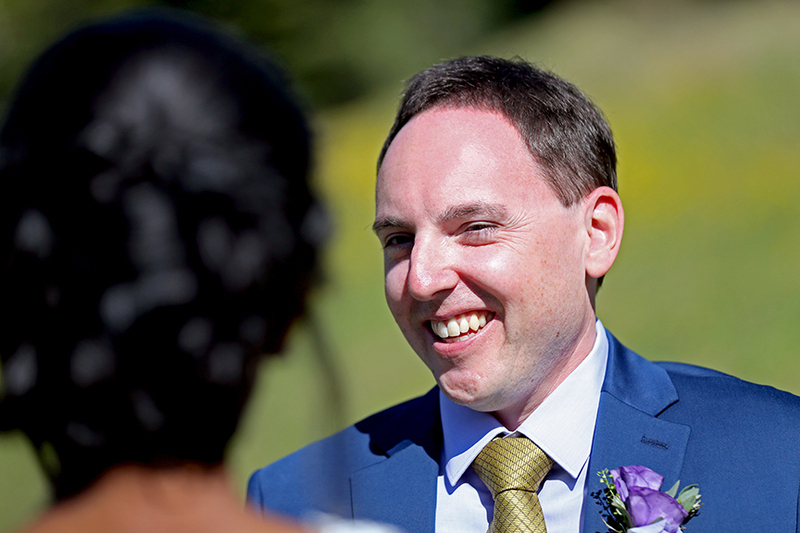 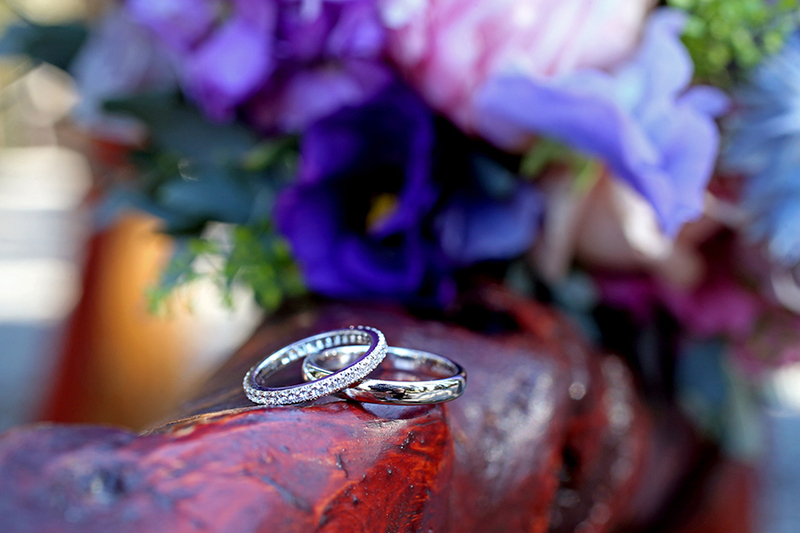 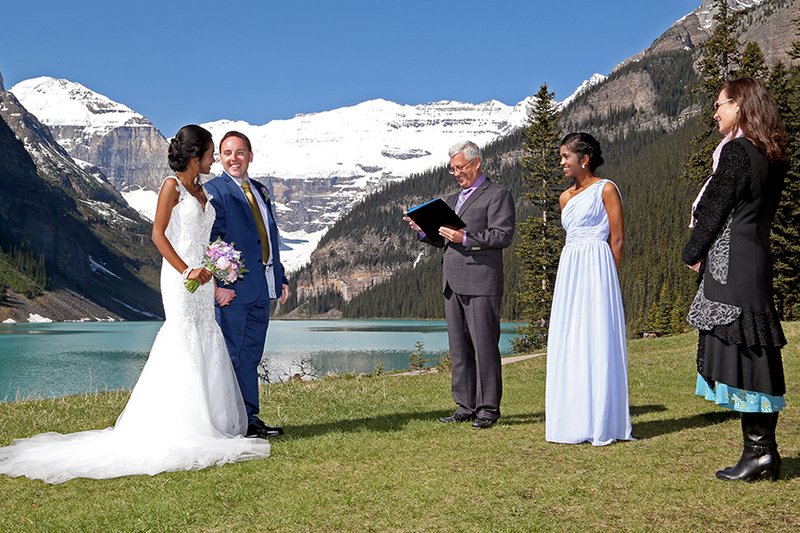 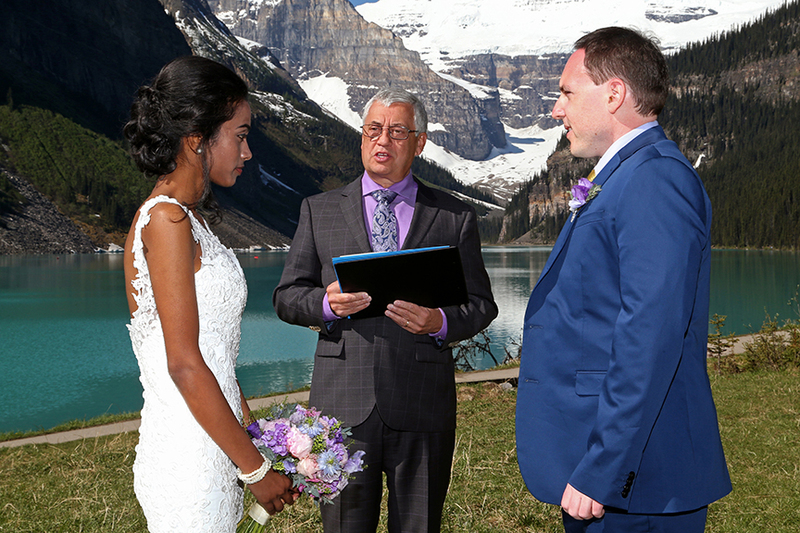 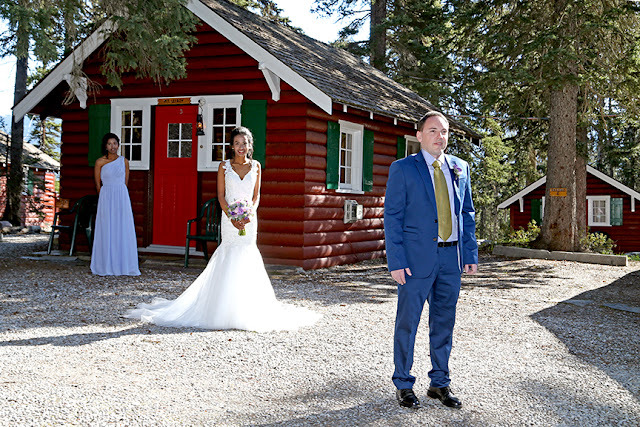 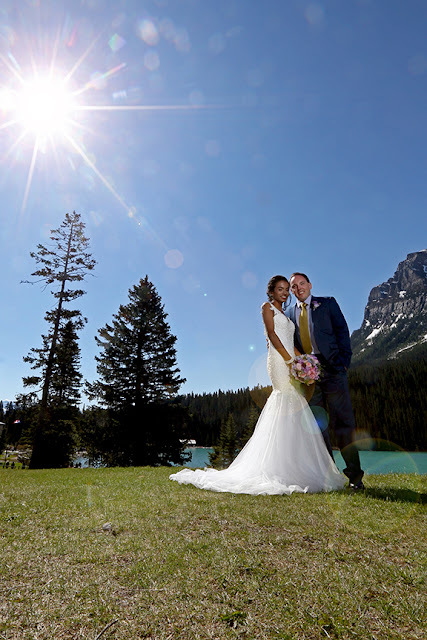 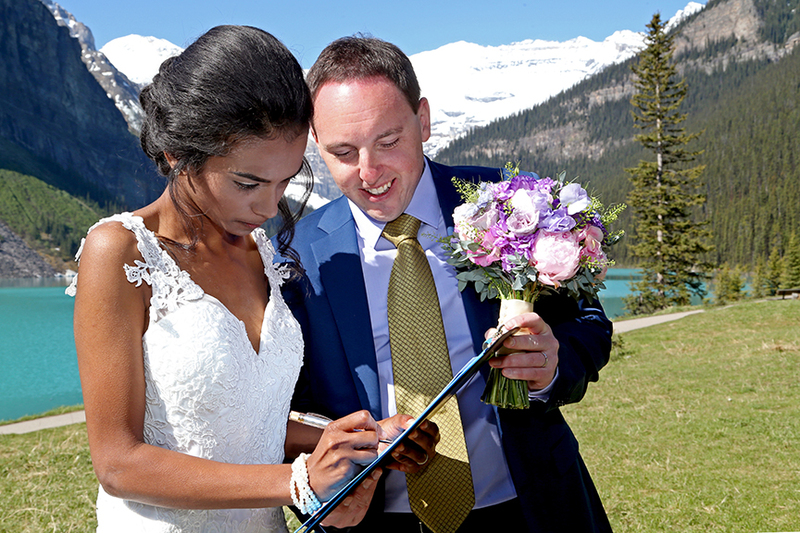 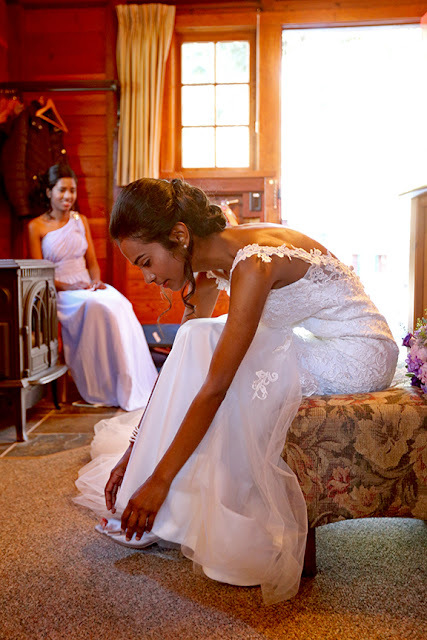 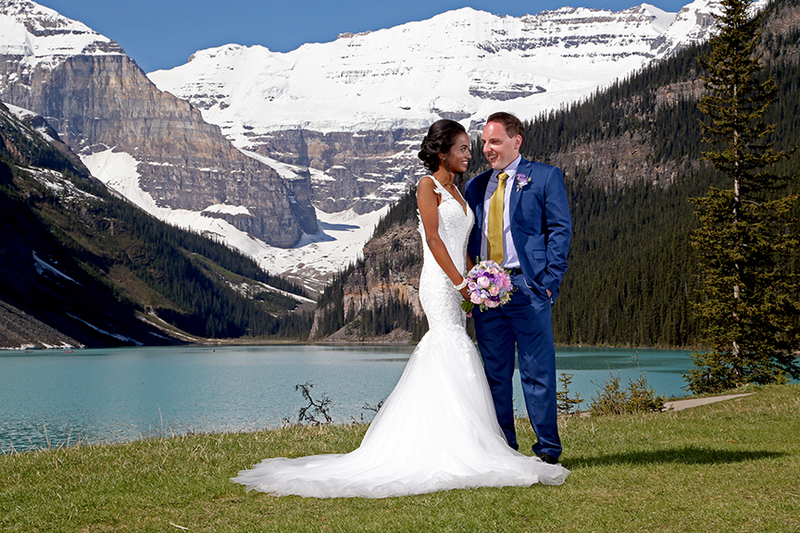 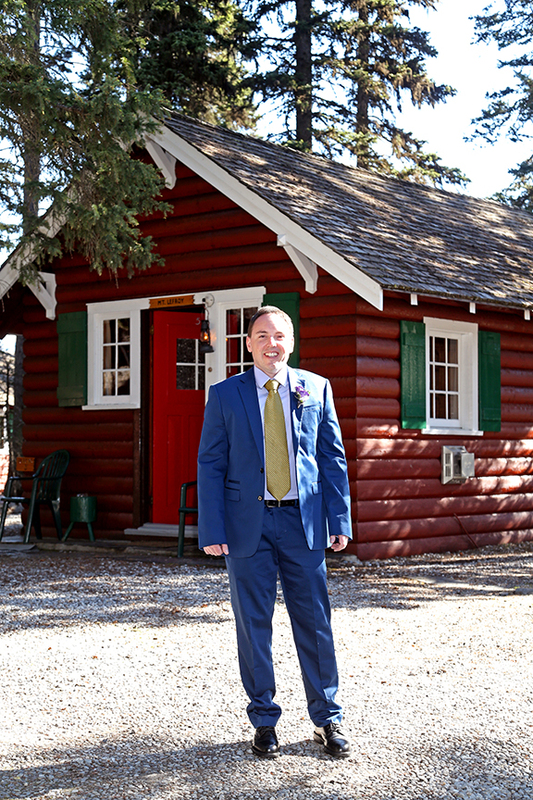 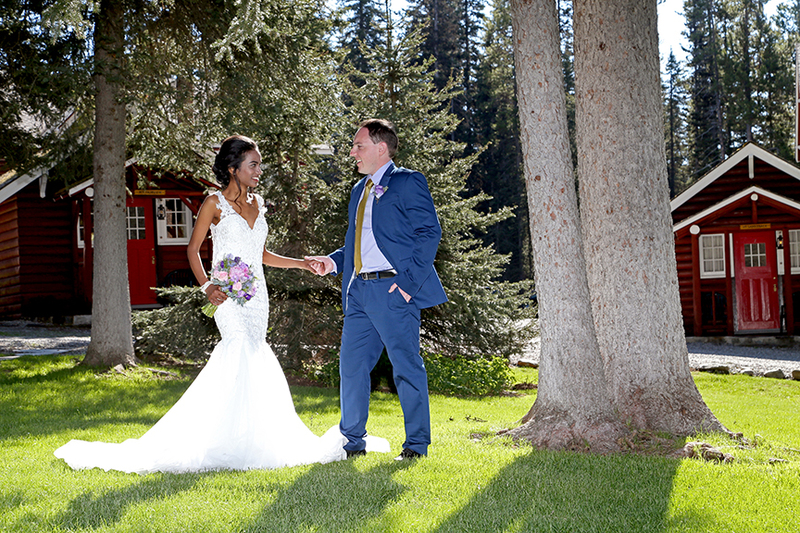 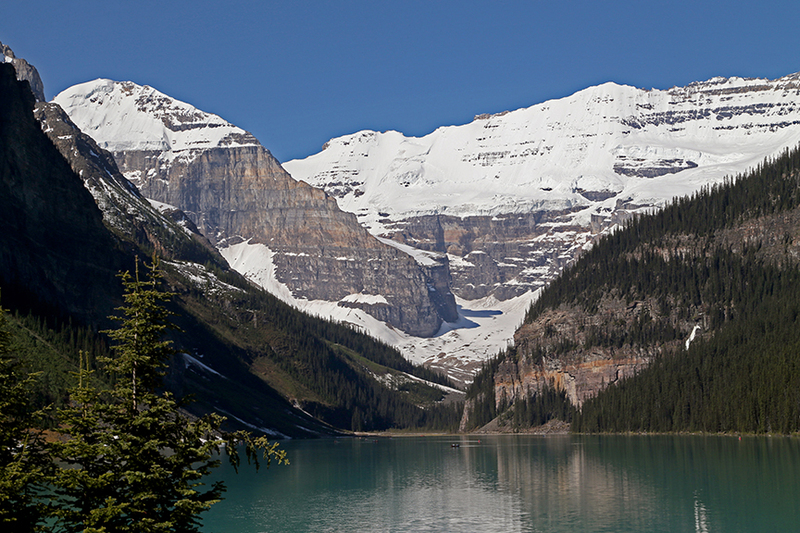 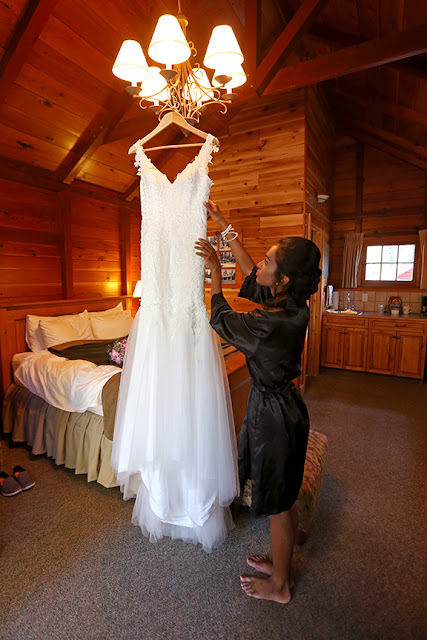 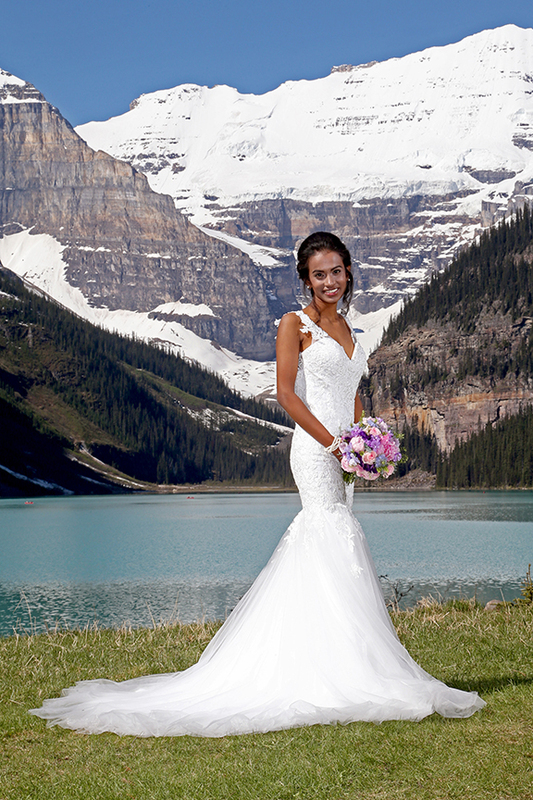 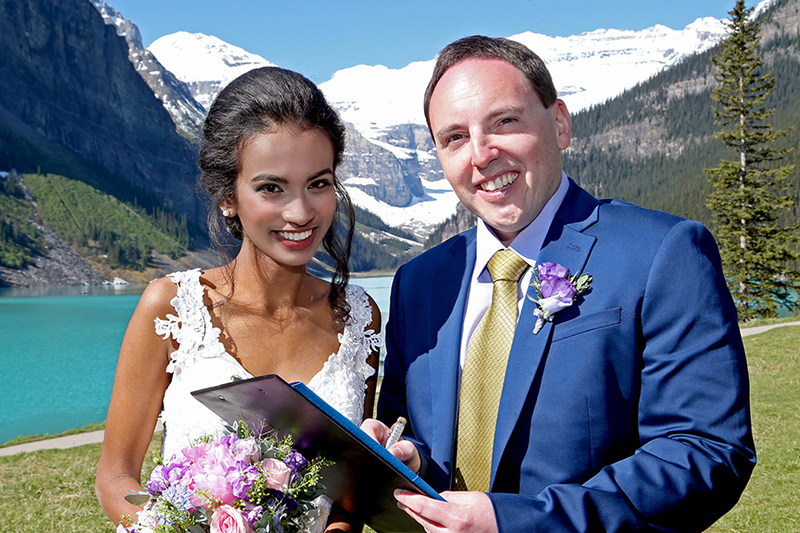 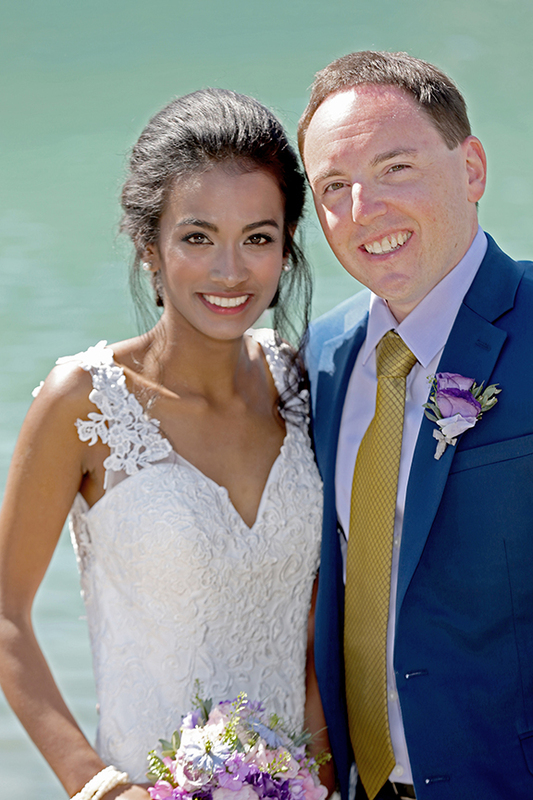 They chose Lake Louise as the backdrop for their intimate wedding ceremony. 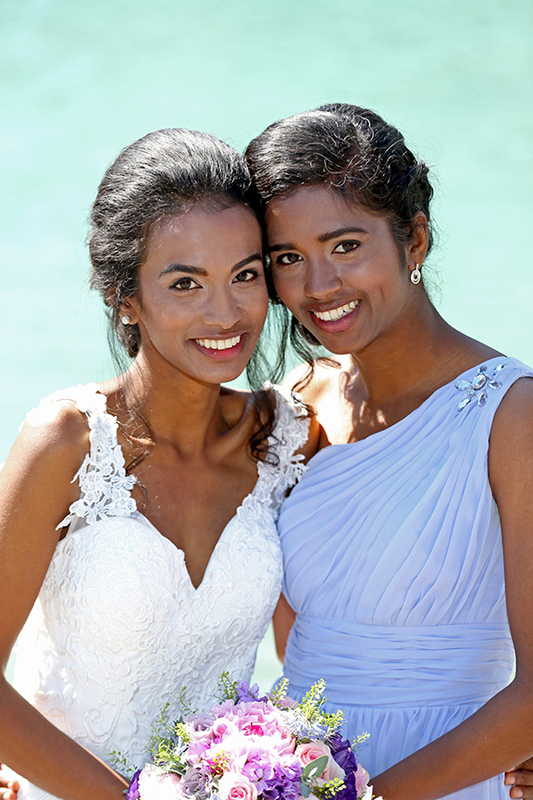 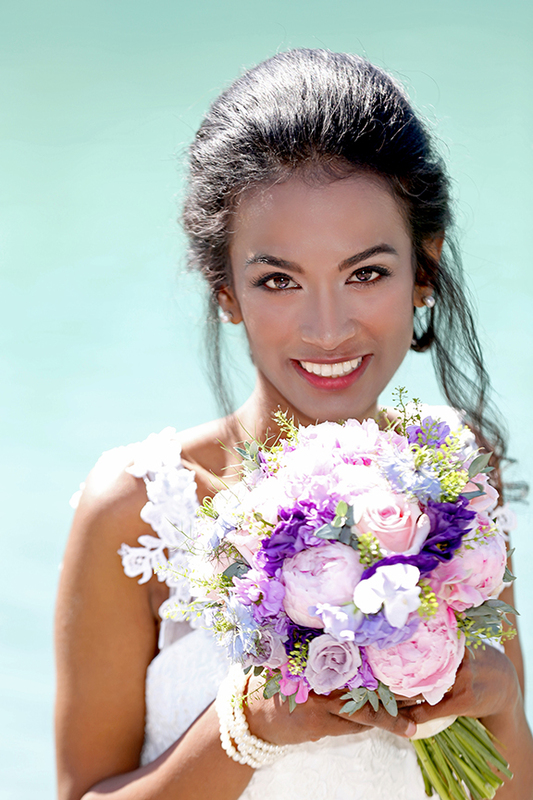 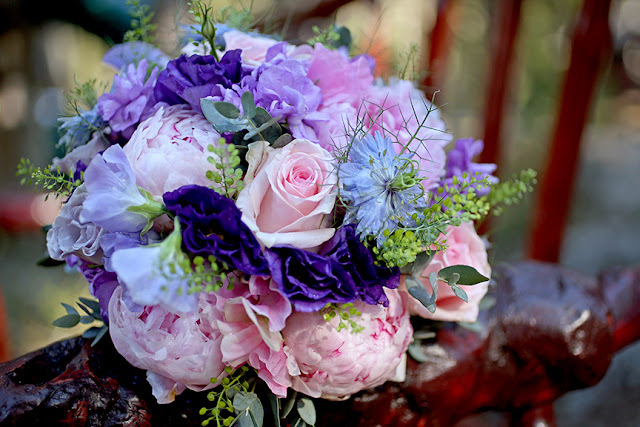 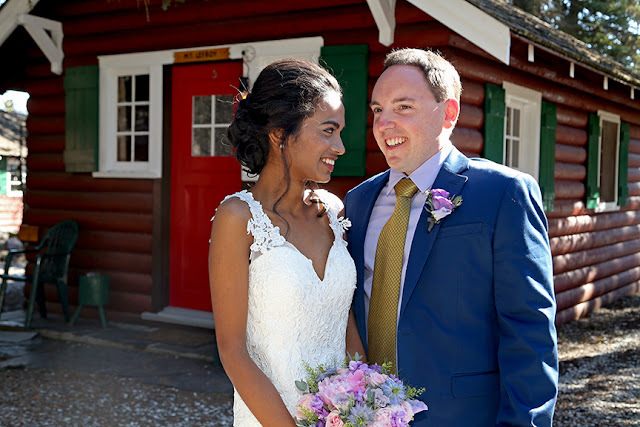 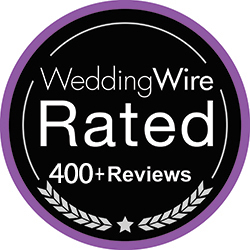 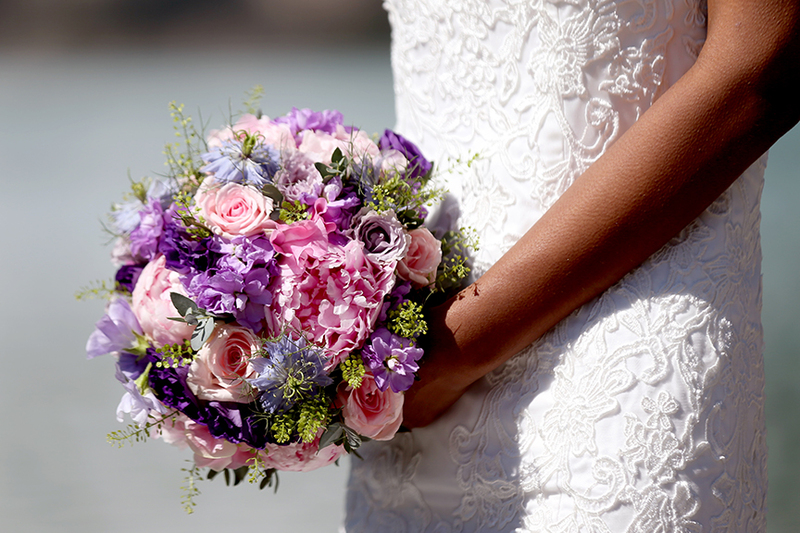 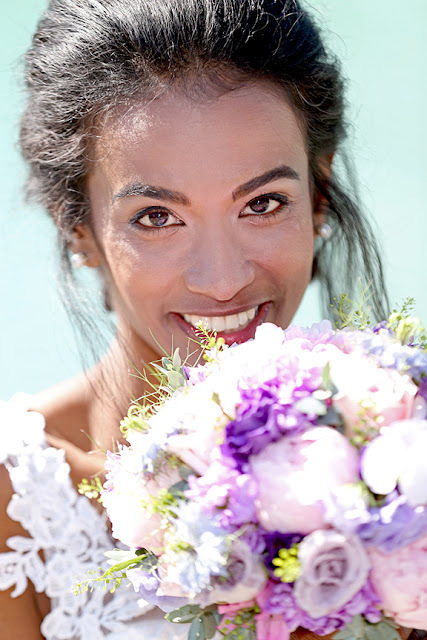 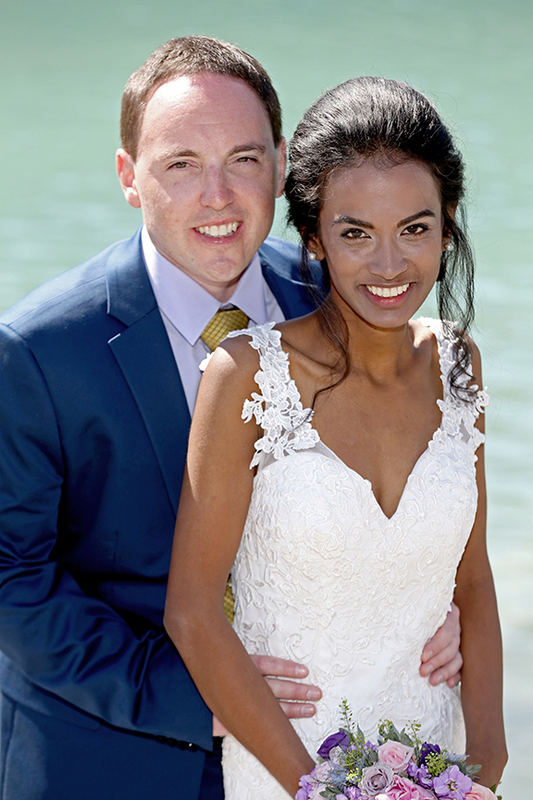 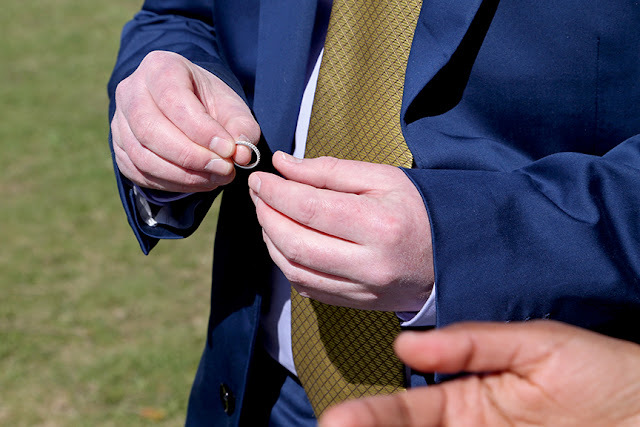 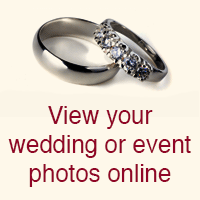 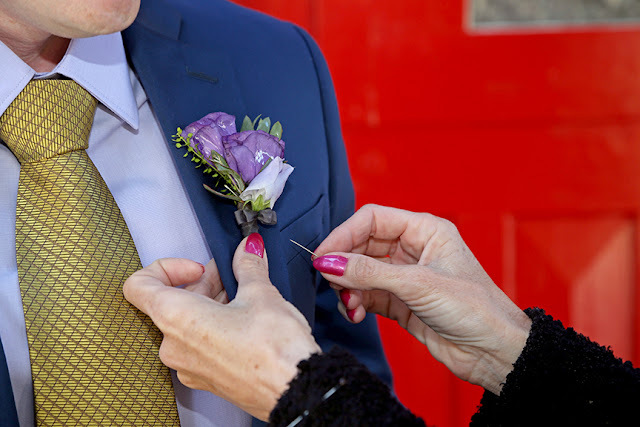 Congratulations to Praveena & Timothy!